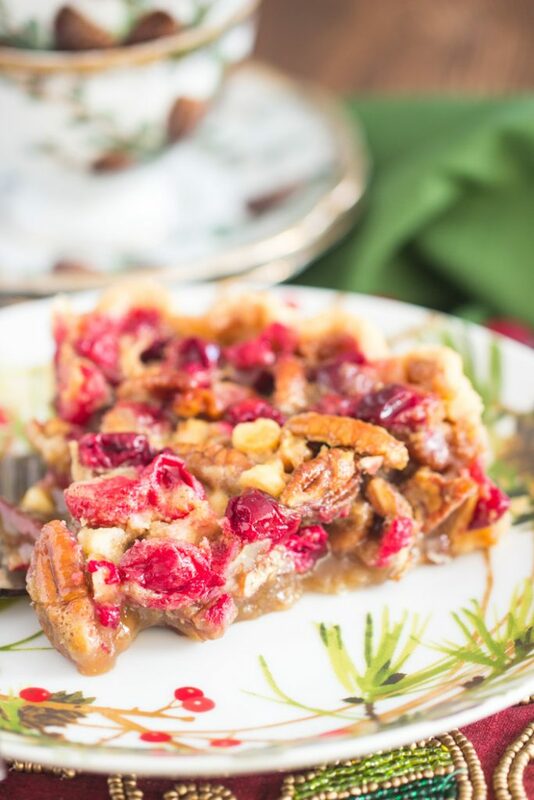 This White Chocolate Cranberry Pecan Pie features everything you love about traditional pecan pie – sweet, brown sugar gooeyness, but with melted white chocolate, white chocolate chips, and fresh, tart cranberries that provide bright, tangy fruitiness! 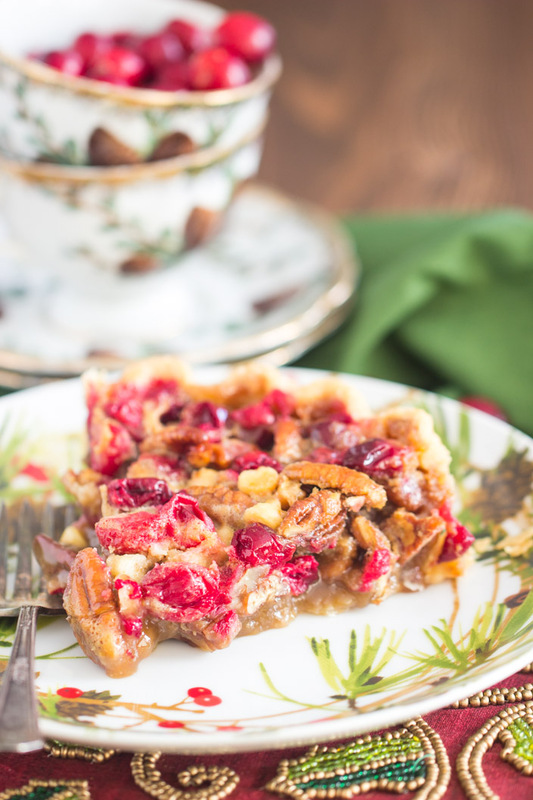 This White Chocolate Cranberry Pecan Pie might as well be called Christmas Pecan Pie, and you need it for your holiday! 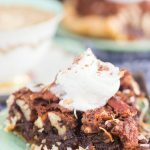 Okay, this is the last pecan pie recipe… for this year, anyway! I am done with pecan pie recipes for the season. 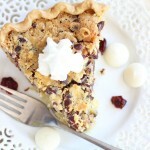 This White Chocolate Cranberry Pecan Pie concludes my pecan pie extravaganza with a major bang though! 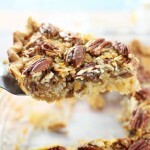 This is one unforgettable pecan pie, and isn’t it so pretty?? The vibrant cranberries are beautiful! I was on a roll with pecan pie recipes this year, I don’t know why, and this was such a natural idea to me. 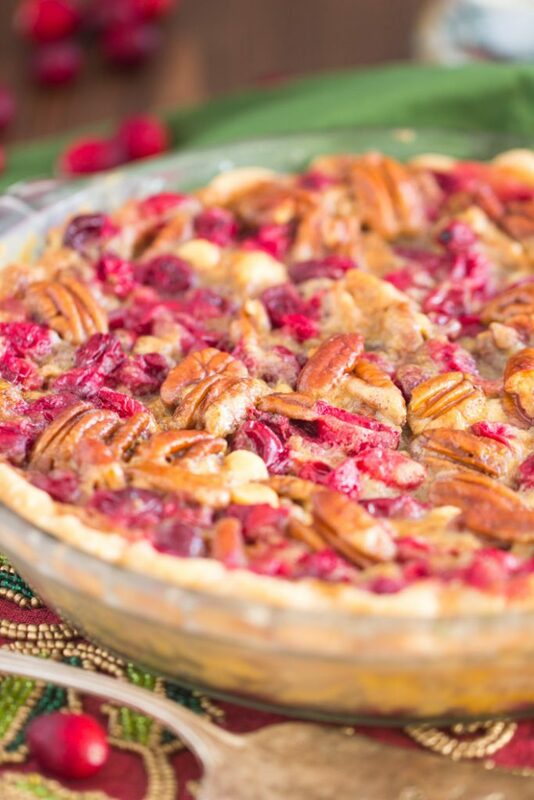 Who doesn’t love white chocolate, cranberries, and pecans together? And why can’t that be a pecan pie? It can – YAY! And here it is. White chocolate melted right into the pecan pie gooeyness. A heap of fresh cranberries – the sugar takes the edge of their tartness, and they burst and bubble. They add fruity brightness, plus a gorgeous red hue. 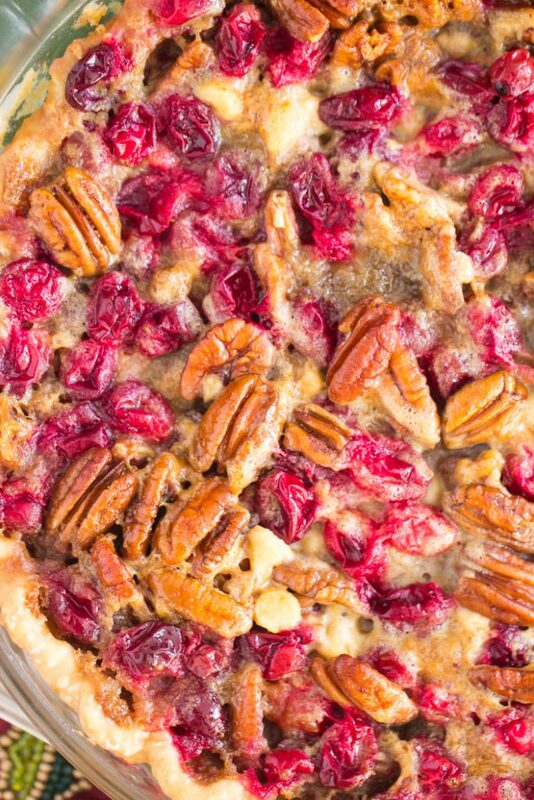 This White Chocolate Cranberry Pecan Pie also has a bunch of pecan halves, of course, because this is a pecan pie recipe after all. 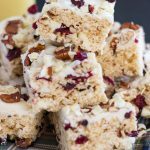 One of my other favorite recipes with this trio of ingredients is these White Chocolate Cranberry Pecan Rice Krispie Treats. Those are so quick and simple, but they’re so dressed up and pretty compared to original RKTs, so they’re an awesome holiday version. 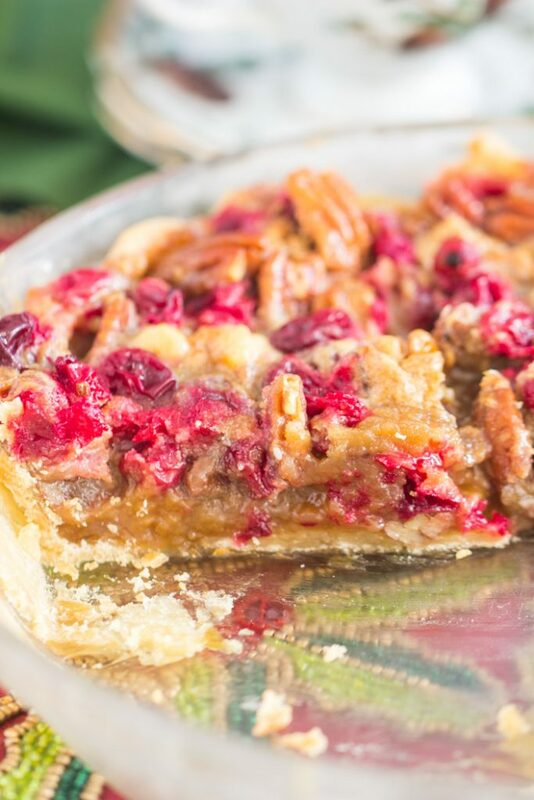 This White Chocolate Cranberry Pecan Pie features everything you love about traditional pecan pie - sweet, brown sugar gooeyness, but with melted white chocolate, white chocolate chips, and fresh, tart cranberries that provide bright, tangy fruitiness! 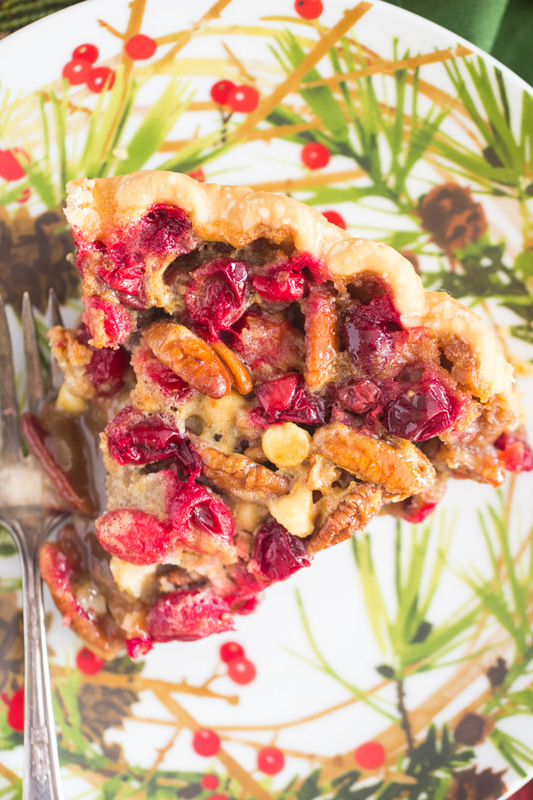 This White Chocolate Cranberry Pecan Pie might as well be called Christmas Pecan Pie, and you need it for your holiday! Arrange pie crust in a 9-inch pie plate. Crimp or scallop the edges. In a small microwave-safe bowl, heat the white baking chocolate and butter at 20-second intervals until melted and smooth. Do not heat at longer intervals or you risk scorching the chocolate! In a large bowl, whisk together brown sugar, corn syrup, eggs, and vanilla. Add the melted white chocolate mixture to the corn syrup mixture, and whisk to combine. 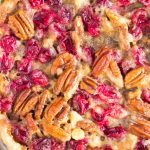 Fold in pecan halves, white chocolate chips, and fresh cranberries. Pour into prepared pie shell. Bake at 350 degrees for 45-50 minutes, or until edges are golden and the center appears set. Remove to a wire rack to cool completely. Chill thoroughly before cutting and serving. 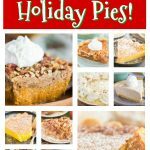 30 Best Christmas Pie Recipes to Make This Season!